Two more classic arcade game minimalist designs are now available as physical posters to hang in your gameroom. 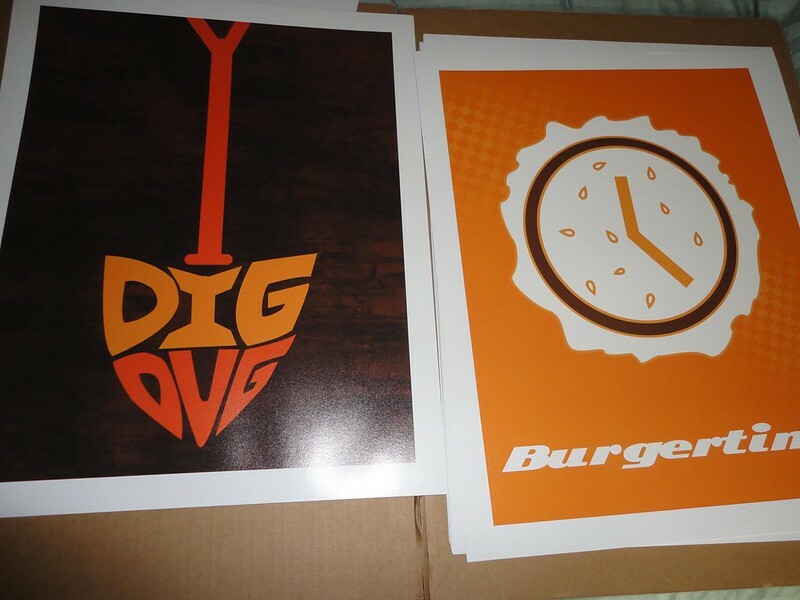 My Dig Dug and Burgertime designs are two of my favorites and would look great hanging next to your Gauntlet minimalist poster. Both designs are professionally printed by the folks over at This Old Game with solvent inkjet on thick poster stock. Posters are both 16 x 20″. Signed and numbered to a limited edition of only 30 posters, they are available for only $19.99 EACH.